TJ and John Osborne who make up Brothers Osborne are quickly becoming one of the most celebrated duos in country music today and deservedly so seeing as they have been on the scene for a very long time. The duo are gaining recognition fast, rightly winning Vocal Duo of The Year at the CMA Awards last year. The brothers co-wrote every song on this album with some of the industry’s most creative and talented writers such as Shane McAnally, Jessi Alexander, Barry Dean, Sean McConnell and Maren Morris. With a strong team like that, this album was not going to be a disappointment. TJ, who takes lead vocals has a strong, deep southern baritone which grabs your attention right away. 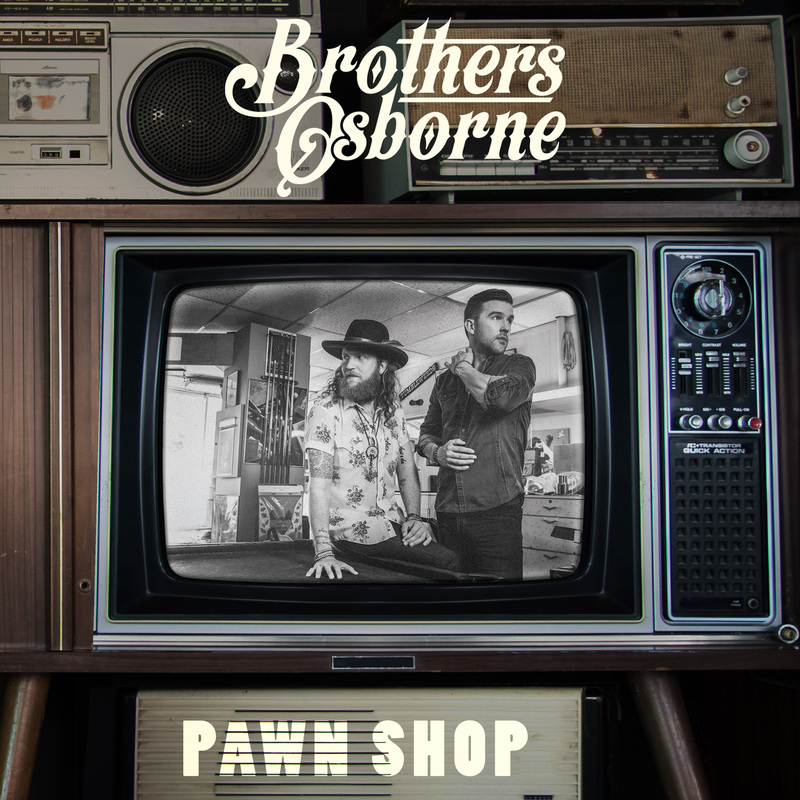 Pawn Shop is sonically in the direction of Country-roots-rock with an element of traditional country and country-blues which gives it a deep south sort of style with a Johnny Cash influence in places amongst other artists. The songs are all single worthy and the whole album is something that would translate fantastically well in a live setting. I can only imagine their performances being electric, energetic and vibrant. Dirt Rich – kick starts the album in a very positive way with an energising intro and an idea of what to expect from the album. 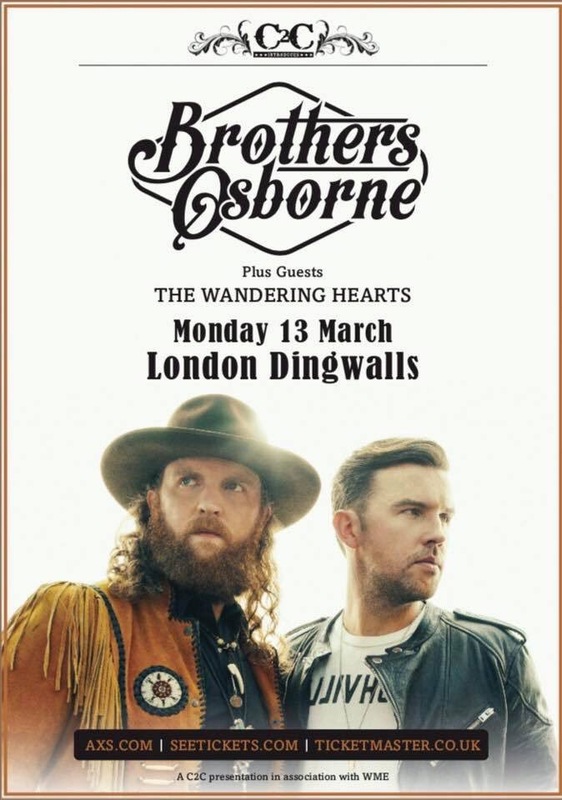 Brothers Osborne offer us something rather different sonically than other artists today and the use of instruments on this track is irresistibly addictive. 21 Summer – I love the overall sound of this mid tempo song. The chorus is slightly Nick Kershaw, Mike and The Mechanics and a tad of Bruce Springsteen but countrified. Stay A Little Longer – another wonderfully addictive song with a catchy chorus and a powerful use of guitar, especially in the electrifying solo. The drum beat too builds up an atmospheric sound that live, would be killer. Pawn Shop – a steady beat track with purposefully sedate vocals. A nice western sound to it with a country blues vibe. Rum – a nice country- blues song with great fret work on the guitar. Has a nice deep south sound and a feel good, stay out in the sun by a lake on a late afternoon vibe. It does remind me of Little Big Town’s Pontoon a bit but perhaps that’s down to the premise of the songs lyrics. Loving Me Back – this collaboration with Lee Ann Womack is a note worthy track. TJ’s baritone vocals really stand out on this track. I have mentioned country blues a lot but this song really has that bluesy drive and with Lee Ann’s vocals, this song is top form. A southern, story telling and soulfully beautiful song that has a lot of old soul about it which could have been recorded any period of time and will never go out of style. American Crazy – another Bruce Springsteen style track. This is an anthem type song with a chanting chorus. This song would be one of those epic moments in a live setting. It also has a lot of Eric Church about it. Greener Pastures – a fun-lovin, Honky Tonk, toe tapping, foot stomping styled song with a nice element of traditional country. A song Miranda Lambert could have easily recorded in her early days. Down Home – which was co written with Jessi Alexander and has been circulating for a while as is already known to Jessi fans as her version was featured on her EP with the same title. The fret work on this song makes this song so much more affective and vibrant. Heart Shaped Locket – a nice, easy listening track with a lovely chorus. I love the bridge to the song with its stripped down moment which then builds up again towards the end. It Ain’t My Fault – another foot stomping track with a dark, deep south vibe and TJ’s vocals are so infectious on this song which has a slight True Blood style to it. This song has a very slight Johnny Cash sound to it but modernised mixed with New Orleans Blues. This soon to be released UK version comes with three exciting bonus tracks. Love The Lonely Out Of You (Bonus) – a stunning echoing down tempo song and Brothers Osborne version of a ballad. It is a heart breaking track which is emotionally beautiful in it’s lyrics and breathtaking melancholic melody. I mention the guitar work quite a lot on this album but it makes the album so much more. This song is so heavenly with it’s electric blues guitar which is pretty much the only accompaniment. I think this is my favourite song of theirs. The vocals on this track have that bluesy edge with an emotionally raw tone with so much depth which is painfully believable. You know it’s an amazing song right from the intro. It’s a close your eyes and absorb every note and lyric type of song. The chorus is so incredibly infectious and perfect. Stunning in its purity. Shoot From The Hip (Bonus) – this song has an incredible dark Spaghetti Western sound, especially in the intro. It makes me think of films such as Kill Bill and Desperado rather than Western films but then it has more of a modern western sound anyway. The guitar riffs in this song are so electric, solid with powerful reverb that I really hope they do this song live in the UK. Arms Of Fire (Bonus) – another fantastic mid tempo, toe tapping track with great chord work. It has a really nice laid back feel to it. Overall this album has an impeccable collection of tracks . 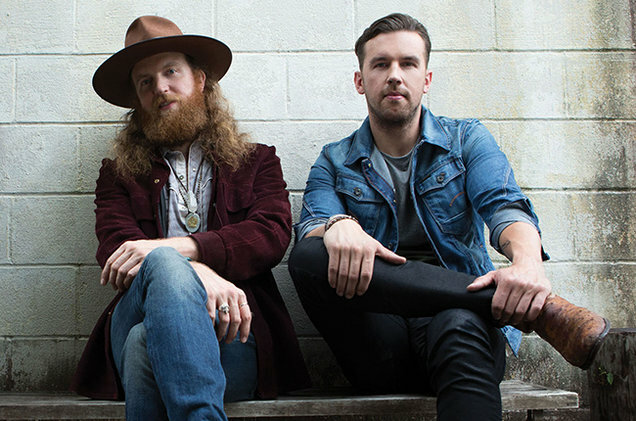 Brothers Osborne play and write with innate artistry. Their overall style and personality in their music is intriguing and gratifying. This is a compelling, feel good album with so much energy and drive that makes you want to go and seem them live in an instant. The detail of instrumentation on this album is so powerful that you absorb every note.